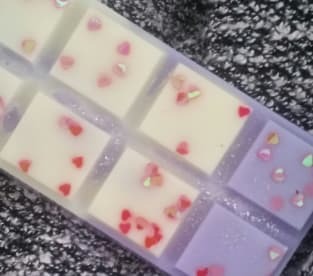 Handmade highly fragranced soy wax melts. We stock a vast range of melts all handmade so you can be confident about buying a quality product that burns evenly and cleanly. Choose from snap bars or 2oz pots in an array of colours, Whether you’re looking for a unique gift or want to treat your home, visit us and see what we have to offer. We love wax and we love nothing more than sharing our passion and enthusiasm with our customers which has earned us a reputation for excellent service. If you’ve never burned melts at home before, we can advise on what burner, fragrance and burn time to ensure you get the most out of your melt. We can also help you if you’e looking for a gift or are trying to create a particular mood or ambience at home. Iv had the alien one it smells absolutely beautiful I can smell it all through my home! Highly recommended, it’s beautiful! Please note that Candy Wax may not be able to honour booking requests made.